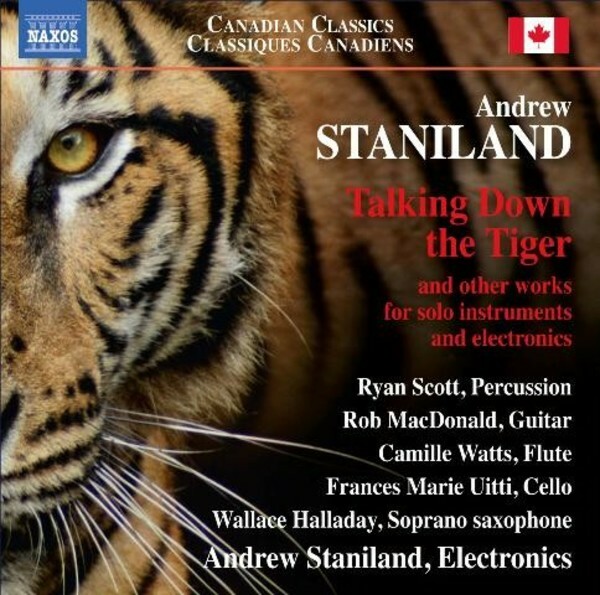 Andrew Staniland is recognised as one of Canada’s most important and innovative musical voices, and his works are performed and broadcast internationally. He has already composed a powerful body of music for solo instruments with electronics, which reveals the exciting and evocative use he makes of sound files and ‘looping’. Talking Down the Tiger explores the ferociousness, beauty and mystery of percussion instruments whilst Flute vs Tape is virtuosic, vivacious, and not afraid to embrace capricious fun. These qualities permeate his music and help explain why leading American writer Alex Ross calls it ‘alternately beautiful and terrifying’.